Consumers use their smartphones and tablets to search for restaurants more than any other industry, according to a 2013 survey from the research firm¬†Chadwick Martin Bailey. But restaurant websites can be a major barrier‚Äî62% of those customers are less likely to choose a restaurant if they can’t read the menu with their mobile device. Additionally,¬†mobile web searches for restaurants have a conversion rate of nearly 90 percent,¬†with 60% of those searches converting to sales within one hour of their search. In other words, people using their phones and tablets to find dining options are ready, hungry and willing. 1) Better user experience ‚Äì Other than your unique food or customer service, customers are always looking for a better experience. It’s no different with your mobile site. Features such as responsive design, click-to-call buttons and location-aware mapping will make your website much easier to use. Mobile-responsive websites automatically resize elements, such as text and images, to display correctly on the smaller screens of mobile devices. You can even rearrange and prioritize web elements to showcase content specifically tailored to mobile visitors, such as limited-time offers and seasonal menus. 2) Greater engagement ‚Äì When you get a new customer walking through your doors, you want them all warm and fuzzy so that they come back soon. Your mobile site needs to do the same thing. If it’s difficult to navigate and read using a smartphone, many visitors will simply move on to someone else. No more warm and fuzzy. Just disgruntled. And changing a bad opinion is a lot harder than starting off with a good one. 3) Improved search engine performance ‚Äì Ever been in a situation that you couldn’t get out of fast enough? Bad date? Wrong turn into a seedy neighborhood? Gas station sushi? These are the bounce rates of everyday life. Bounce rates happen by visitors hitting your website and quickly exiting without going to a second page. Search engines penalize websites with high bounce rates. Slow load time (common with non-optimized websites) is also a factor in bounce rates. If you correct these issues, your position should improve. You can also take it a step further by adding social sharing buttons to gain traffic from social networks. After all, mobile users spend more time on Facebook and other social networks than they do on search engines. 4) Perfectly suited for LTOs ‚Äì I ate kale once. It was disgusting. But it is different and gaining popularity, which is why¬†you will see an LTO for it some time in the near future. When your restaurant takes the next¬†leap of faith on a new idea, you need something that gets your message out to the greatest number of people in the quickest way. Like I said earlier, if you don’t have your menu on a mobile site, you have a 62% chance of losing that customer.¬†Your mobile site, coupled with social media platforms, is the most efficient way to get that word out. So when you‚Äôre ready to promote your kale salad with the tagline “Kale Yeah!”, think mobile first. The key to designing a great mobile website is providing the kind of information people on the go want most‚Äîyour hours of operation, menu (avoid PDF files which are not mobile-friendly), phone number (click-to-call is ideal) and your address. It is also preferable to give your customers the option to order online. Mobile websites serve as a great platform for limited time offers and loyalty clubs to entice new customers, as well as a way to retain existing ones. Using special deals and promotions that are only available on mobile devices is a method that is not only effective but also trackable. Share your comments with us. 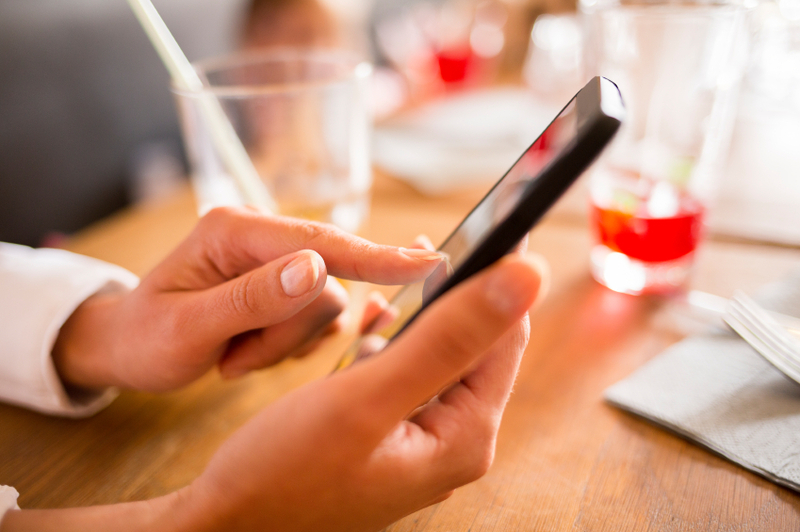 How has your mobile website impacted your restaurant business?